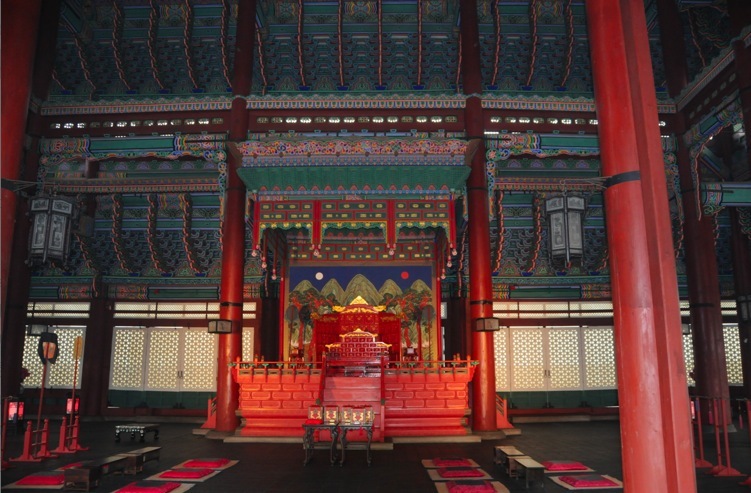 Geunjeongjeon Hall, is the throne hall of Gyeongbokgung where the king formally granted audiences to his officials, gave declarations of national importance, and greeted foreign envoys and ambassadors during the Joseon Dynasty. 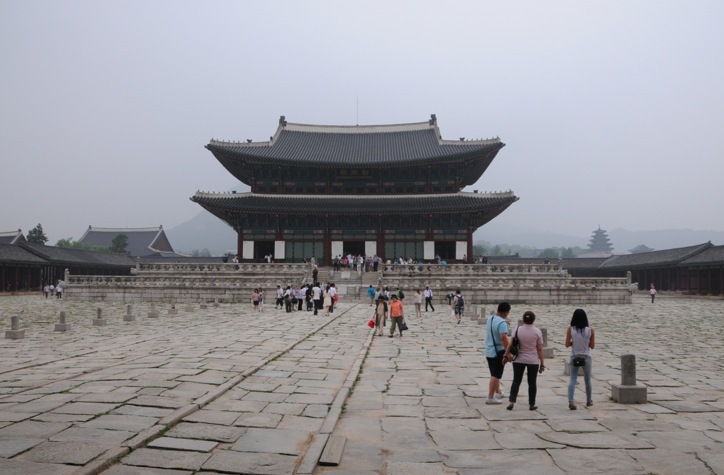 It was originally constructed in 1395 but was burned down in 1592 when the Japanese invaded Korea. 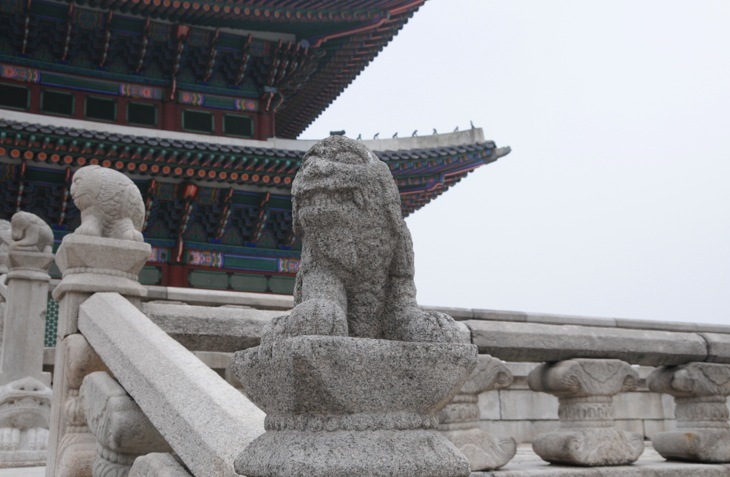 The present building was built in 1867 when Gyeongbokgung was being reconstructed. 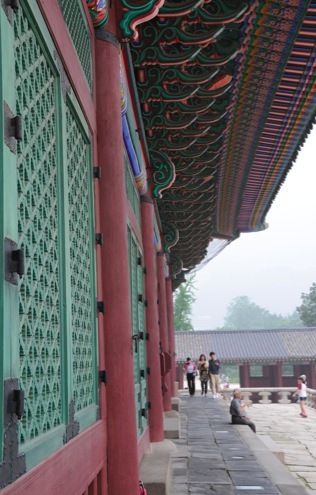 The name Geunjeongjeon, created by the minister Jeong Dojeon, means diligence helps governance. Constructed mainly of wood, Geunjeongjeon sits on the center of a large rectangular courtyard, on top of a two-tiered stone platform. 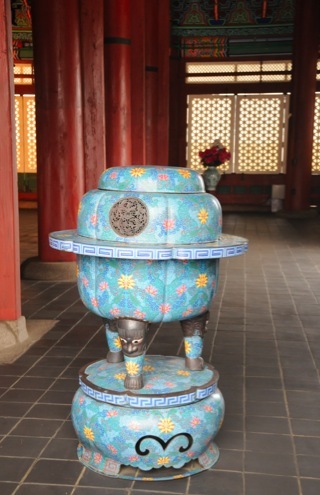 This two-tiered platform is lined with detailed balustrades and is decorated with numerous sculptures depicting imaginary and real animals, such as dragons and phoenixes. The stone-paved courtyard is lined with two rows of rank stones, indicating where the court officials are to stand according to their rank.